Tamron SP 150-600mm Di VC USD – First Try & Zoom samples | CamAhoy! Hi there thank you for your videos so far so good and I am really interested with this lens. 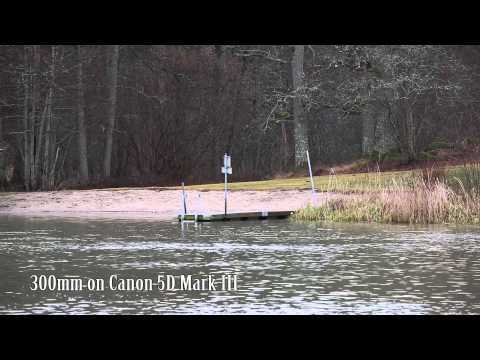 Do you have a TC you can attach with your 400mm f/5.6 to compare the Tamron lens? That would be really nice comparison. Before I was considering the 400mm f/5.6 + 1.4x TC until this lens came along I think I am going with the Tamron but would love to see your comparison first. can you test the AF continuous on a moving subject? birds? Since Peter has already asked about comparing the Tamron 150-600mm with Canon’s 400mm+TC, can you also comment on AF acquisition differences between Tam150-600mm & 400mm+TC. The 400mm f/5.6 is know to focus quite fast, however with a 1.4xTC the 400mm becomes 640mm f/8 so I assume only middle AF point works??? When using The Tamron 150-600, many AF points are selectable on the 5D-III? Sorry, just saw your video on AF which answers most of my earlier questions. Looks pretty good. I don’t have a 400mm f/5.6 +TC so I’m still interested in knowing how AF compares speedwise. I have been waiting for a review on this lens. I was holding out for the canon 400mm but saw this being talked about in small circles here in the U.S. I shoot a T4i crop sensor so am curious how soft it may be on the 600mm side. Great video by the way. The first one on Youtube I think.